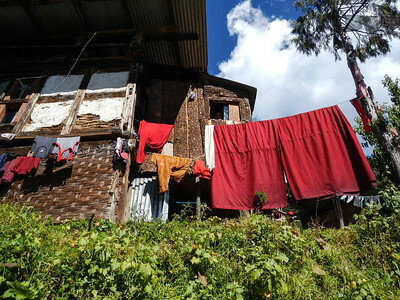 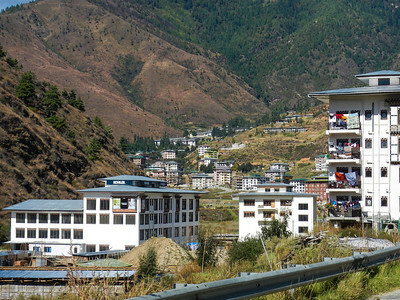 Multi storied homes in Thimphu. 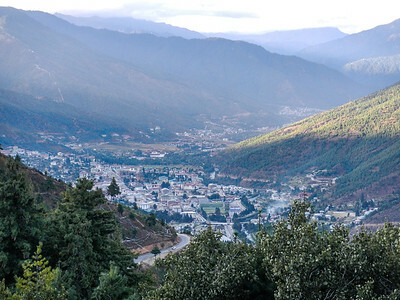 Thimphu is the capitol and the largest city in Bhutan. 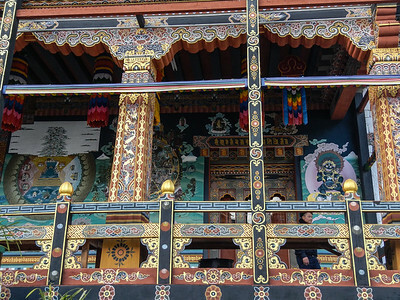 In Thimphu, Bhutan's government seat and Monastery. 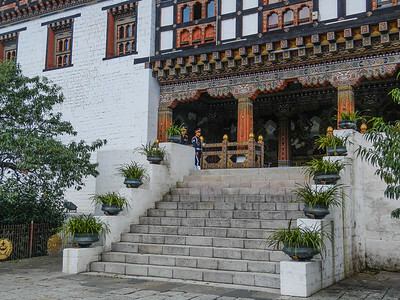 Along the entranceway, Tashichho Dzong - Thimphu Bhutan. 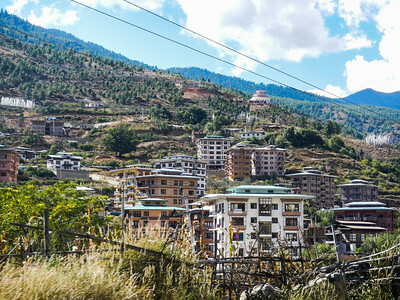 Tashichho Dzong - Thimphu, Bhutan. 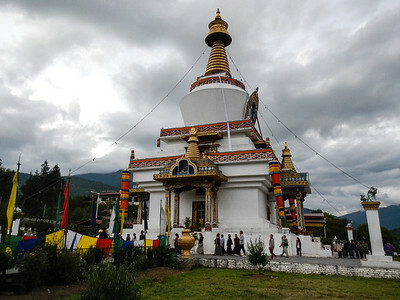 Built as a monument to the Third Druk Gyalpo and to World Peace. 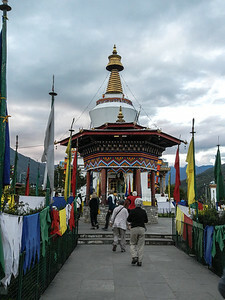 Pilgrims circumambulate the Chorten daily. 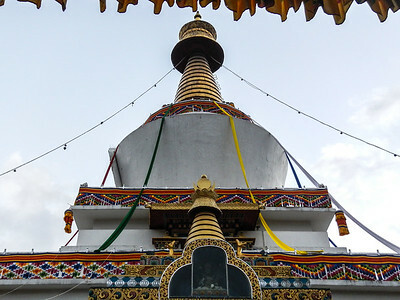 National Memorial Chorten - Thimphu, Bhutan. 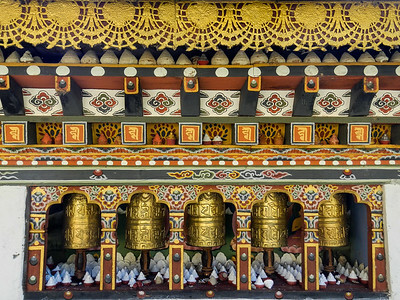 Always spin clockwise. 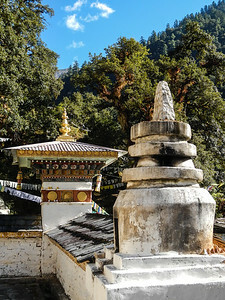 National Memorial Chorten - Thimphu, Bhutan. 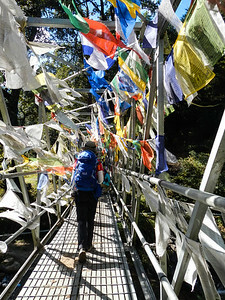 At the entrance to Jigme Dorji National Park. 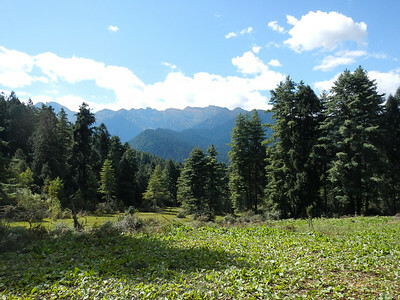 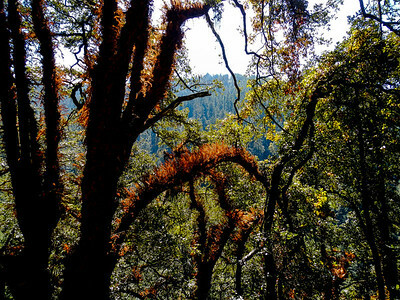 Jigme Dorji National Park - Thimphu, Bhutan. 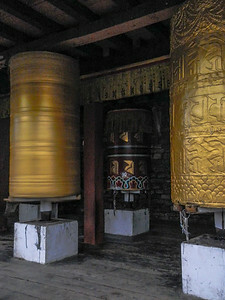 Prayer wheels and mini chortens. 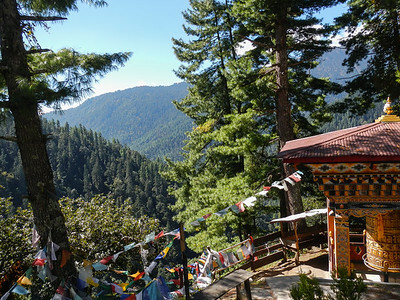 Prayer wheel and beautiful view. 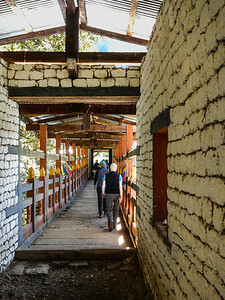 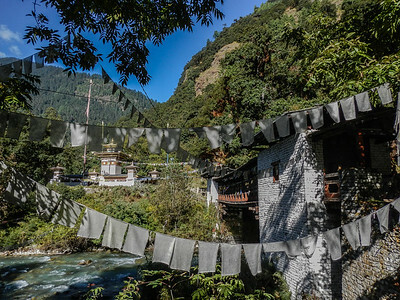 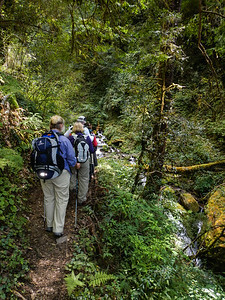 Hiking up to Chagri Dorjeden Monastery, Jigme Dorji National Park - Thimphu, Bhutan. 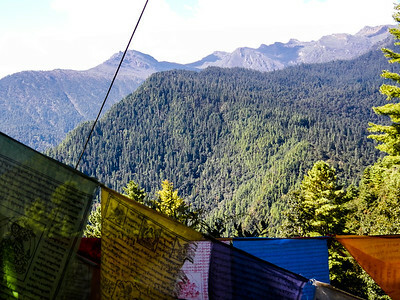 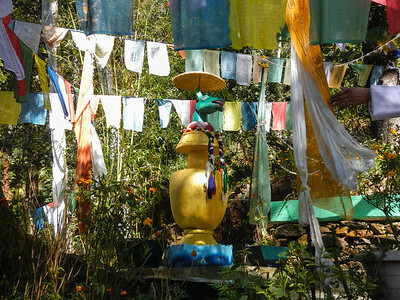 Commonly called "Cheri Gompa". 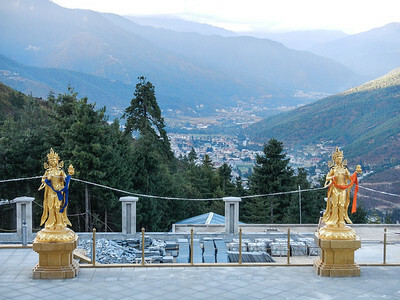 Jigme Dorji National Park - Thimphu, Bhutan. 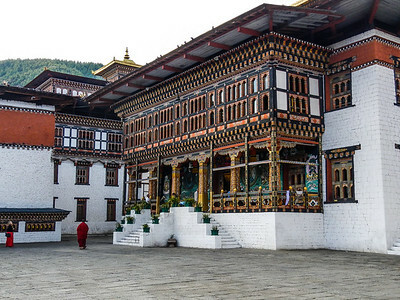 Chagri Dorjeden Monastery, Jigme Dorji National Park - Thimphu, Bhutan. 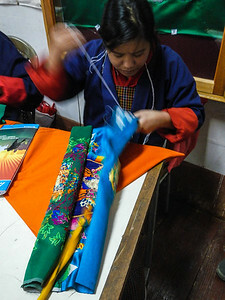 Monks robes are worn to create uniformity among all and to represent the simplistic and spiritual life they will lead. 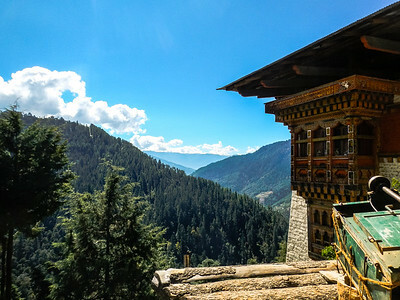 Chagri Dorjeden Monastery, Jigme Dorji National Park - Thimphu, Bhutan. 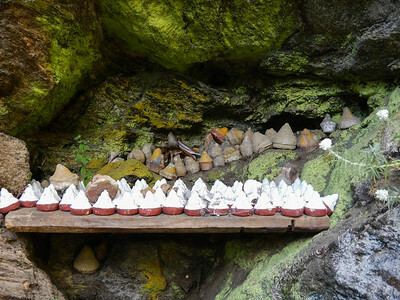 Mini Chortens (Tsa-Tsa) tucked in the rocks. 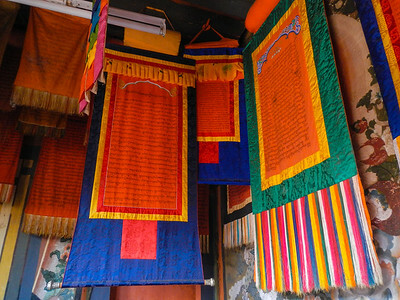 Each is placed as a prayer for the well-being of a loved one. 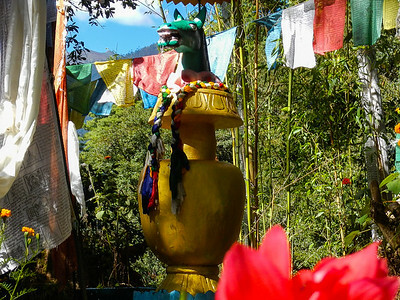 Jigme Dorji National Park - Thimphu, Bhutan. 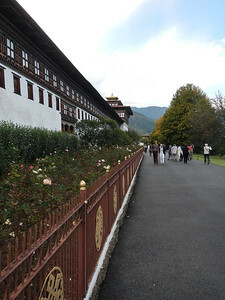 Tango University of Buddhist Studies. 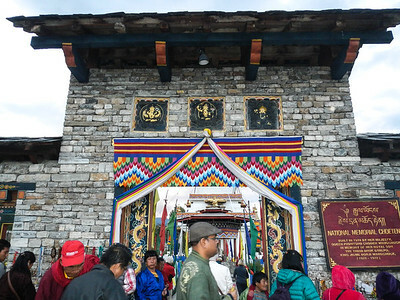 Jigme Dorji National Park - Thimphu, Bhutan. 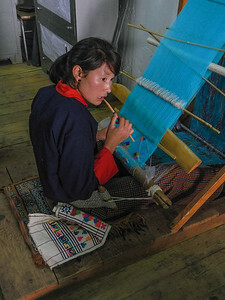 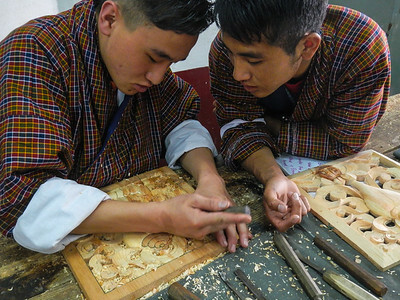 Learning traditional Bhutanese Arts at the National Institute for Zorig Chusum - Thimphu, Bhutan. 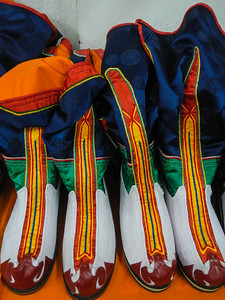 Traditional Tshoglham Boot, 1616, they think? 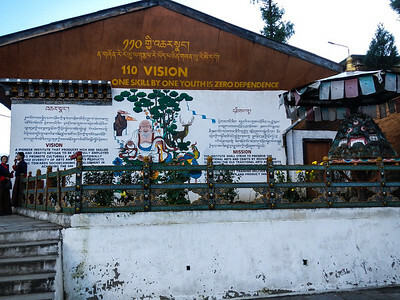 National Institute for Zorig Chusum - Thimphu, Bhutan. 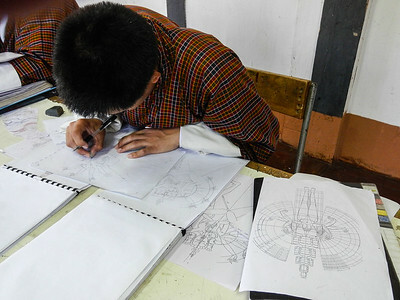 Sculpture class. 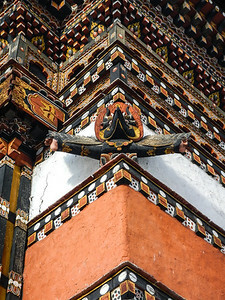 Detailed work in clay. 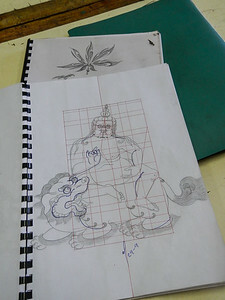 In painting class, a religious work soon to be painted on canvas. 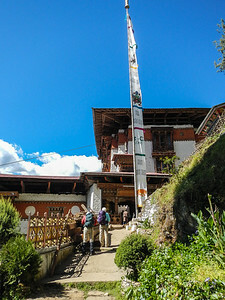 169' tall, completed in 2015. 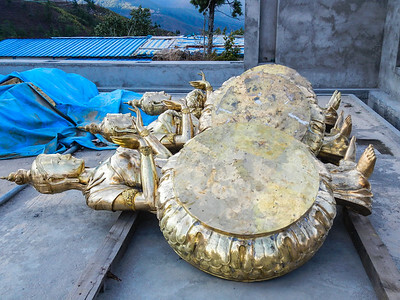 Made of Bronze and gilded in gold. 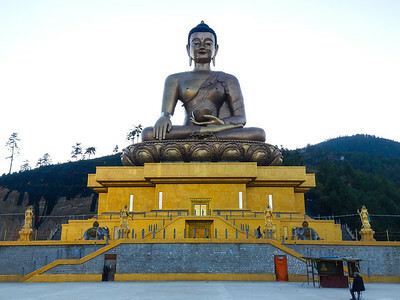 It is one of the largest Buddha rupas, "Form of the Awakened One", in the world. 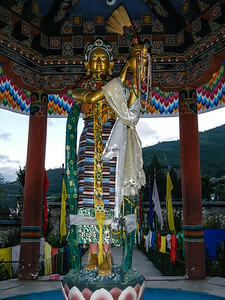 Bhuddha Dordenma Statue - Thimphu, Bhutan. 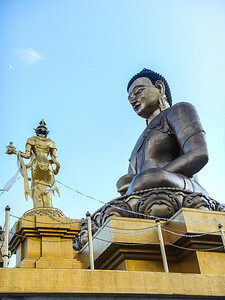 The statue sits in the Kuensel Phodrang Nature Park - Thimphu, Bhutan. 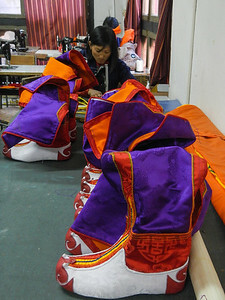 Still to be put into place.